In 1988 our owner, Trey Jennings, started with a single truck he bought from the company he was working for. He was the sole proprietor of his company with only one wireline truck and his 7 years of wireline experience. 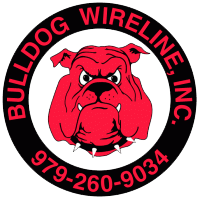 In 1994 Trey changed the name to Bulldog Wireline, Inc. We have labored over many years providing wireline (sliclkine, braided line and swabbing) services to create our image of reliability and safety. Because of the dedication, Bulldog Wireline is one of the leading oilfield service companies in Texas. In 2001 Daniel Tidwell joined Bulldog Wireline, Inc. With him came mechanical and problem solving skills. With that and the finesse of operating a slickline truck he became a valuable slickline operator. With his dedication and management commitment of excellent service for our customers Daniel was promoted to the position of VP of Operations. We have been in buisness for over 30 years. Currently our services include 10,000# working pressures and corrosive enviroments. Our flagship truck was designed by Trey himself and is a unique, all-in-one service rig. Our employees are all trained by Bulldog Wireline and because of a generous benefits package are committed to the sucess of their company. At the end of the day our reputation is what matters most. We look forward to continued use of our tools and talents in Central Texas and beyond. Bulldog Wireline works hard to earn and keep the trust of its customers. Because we recognize the value of the individuals we service, our customers’ needs are attended to swiftly. Working bizarre hours in poor conditions is part of our job as we strive to deliver the service that the industry requires. We are a results oriented company and our services are tailored to meet the needs of each customer. Hiring Bulldog Wireline means you are getting efficiency and flexibility, providing services using braided line and slickline up to 10K and H2S and CO2 corrosive enviroments. Various well services include setting plugs, bailingsand, perforating tubing, broaching tubing, fishing downhole tools and troubleshooting. Out testing services include bottom hole pressure, temperature surveys, flowing surveys, build-up tests and swabbing. Having been in the business for over 30 years, Bulldog Wireline promises skill and finesse in out work. We believe in training each employee to do their best work possible by making sure they confident and satisfied with their job in the Bulldog family. Our employees are trained to put quality and safety first. Providing a total range of slickling, braided line and swabbings services we’re ready to think on our feet. That’s why we are the company man’s best friend.